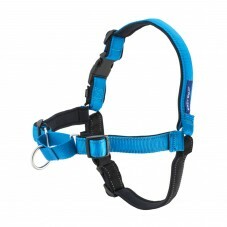 Soon winter will be gone, and you may think about taking your dog for a run. How can you do it safely for both of you? How do you prepare your dog for running? What's 's the best gear? While running with your dog, what are some things to be on the lookout for? Here's the "bare bones" to get you started safely. Preparation is the key, and there are many things to consider. Is your dog sociable both to people and other dogs? It's dangerous for him to be lunging or chasing animals and birds. How old is your dog? Running a puppy or an elderly dog can be harmful. With puppies, wait until the growth plates on his bones close because running them too soon can result in permanent injury. Generally speaking, the larger the dog, the longer it takes for the plates to close - with a Great Dane, for example, they close at about 2 years. Elderly dogs can have medical issues such as arthritis or heart problems that may be exacerbated by running. What was he bred for and his body type? Know your breed's propensity for health issues such as dysplasia. Some dogs such as Dachshunds do well with short sprints. Medium to large dogs with long noses and short hair such as retrievers, some herding dogs and hounds, some hunting dogs, and Northern breeds (in cold weather) do well with long runs. Dogs with smashed-in noses such as Pugs do better with walks because of breathing issues. Take him to the vet before starting any exercise regimen for a thorough check-up to make sure he is healthy, especially if he is overweight. Basic obedience is a must, especially heeling next to you. It's dangerous for both of you if he zigzags, sniffs everything, or pulls. 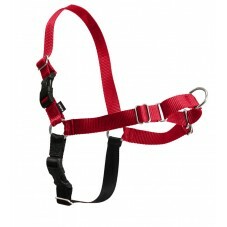 Use a 4- to 6-foot leash and a regular buckle collar. 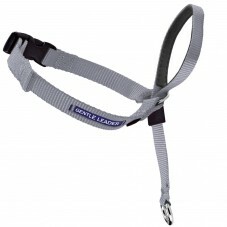 No retractable leashes, choke chains, Martingales, or head collars, all of which may harm your dog if there is a mishap. Don't feed him for at least an hour both before and after your run to avoid bloat. Warm him up with a brisk walk - and even some stretching. Start slowly and build his endurance over several weeks. Intersperse jogging (30 seconds) with walking (4-5 minutes). Slowly increase the jogging and then go to running. Build running time gradually. Weather is important - don't run when it's too hot, too humid, or too cold. Put your hand on the ground for 10 seconds - if it's too hot for you, don't run. Avoid the hottest temperatures during the day. If it's cold, short-haired breeds may need a coat and the runs should be short to prevent frostbite. Look out for ice, especially black ice. Running on natural surfaces such as grass and dirt is preferable to concrete, blacktop, or asphalt. Remember that you wear tennis shoes to cushion impact, but your dog doesn't! For trail runs, check to see that dogs are allowed before you begin. Bring water along so he can drink a little every half hour - you want him to drink from your water and not contaminated puddles. Your dog cools off by panting. If his tongue is inside his mouth, he likely is okay. But he may try to keep up with you even though he is tired and overheating. If you see any of these danger signs, stop immediately and rest for 10 minutes. If these warning signs don't clear, end the run and contact a vet immediately. It bears repeating not to feed him for at least an hour after your run to avoid bloat. And don't let him drink large quantities of water either. Check the pads of his feet for cuts, ice balls, or debris. Wash his feet, legs, and belly in warm, soapy water, especially if you were running in snow where chemicals, salt, or sand was used to melt snow and ice. Check his coat, feet, and legs for foxtails or burrs that may have gotten stuck in his fur. Also, check for ticks if you were on a trail. He likely will be tired, so let him sleep! When you're beginning training, run every other day so he'll be raring to go for your next run.